It’s a special wine made from the variety Augoustiatis. Grapes were carefully selected to help this rare Greek variety show its true potential in the ideal microclimate of the vineyard. The harvest was in mid-September, with a yield of 6500 kg/ha. It remained for 12 months in French oak barrels. M.O.P | Classic Red vinification with selected yeasts and temperature control. Color | Intense deep vivid red color with Orange sheen- characteristic of ageing. Aromas | A wine with a rich fruity bouquet, consisting of blackberry, cherry, vanilla, which evolve Over time. Its taste is full and soft, with a long aftertaste. Selecting a bottle of Augoustiatis shows someone who possesses a deep knowledge of wine internationally and is willing to discover new and challenging paths. 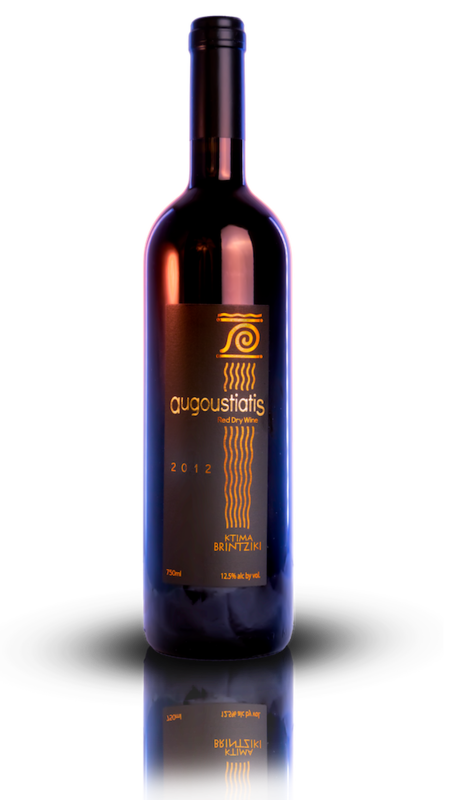 The style of Augoustiatis relates to people enjoying soft, ripe but not heavy dry red wines. It can be matched with meat roasts and yellow cheeses. Augoustiatis, because of its velvety tannic structure, can be enjoyed immediately on release but will get more complex with four to six additional years of aging in the bottle. Emperor Augustus visited Ancient Olympia, and there is his majesty tasted a local rare red wine. with overt enthusiasm adopted the rich and bright taste of this fine wine. this rare wine and the vineyards that cultivated, named Augustus in honor of the emperor.